Love art? Love design? Love to view innovative visually stunning games from famous Canadian artists? If so, download this app. Retina display optimized and fun, this app will entertain you and your friends for hours at a time. 37 galleries of illustrations by Reactor’s internationally renowned artists. Share the images you love with your friends. 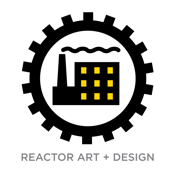 Make direct contact with the Reactor studio to commission art or design. A really neat time wasting mix’n’match game. Unlock the visual possibilities and send them to your friends! You can contact us on our web site. Reactor is a multi-disciplined art agency and design studio located in Toronto, Canada. View the work of Reactor’s illustrators and designers. This is the perfect iPad app for marketing, advertising and creative professionals searching for custom illustration and design.